The World Runs Fast on Knowlege. Let us help. Consider our trove of free mobile apps. Search for books, movies, or music, place holds, and more. Snap a picture of a book barcode and see if it is available at the Mineral County Library. Library books on the go! This app lets you search for and download books from MontanaLibrary2Go. Sign Up for Text Message Alerts about Holds, Due Soon & Overdue Items, Fees. NOTE: Montana Shared Catalog libraries do not charge for this service, but your mobile plan’s regular-text-messaging rates apply. SEARCH WorldCat Libraries extensive library for books and more using your iOS or Android mobile device. 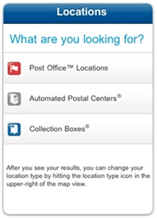 USPS Mobile gives you instant, on-the-go access to the most popular tools on USPS.com. Track a package, find Post Offices and collection boxes, and look up ZIP Codes anywhere you go. Download free books in formats suitable for eBook readers, mobile phones, and other devices. Use this mobile app to discover the historic places of Mineral County and Montana. Find map, travel guide, audio tour and much more for 59 national parks. Find the best books and media for teens, as selected by US library staff and educators! Easy access to the titles honored each year by the Young Adult Library Services Association, a division of the American Library Association. Explore the world’s largest library and body of knowledge -- all under a single (brick & motar) roof. DOWNLOAD the Library's app for a virtual tour of award-winning exhibitions and features.